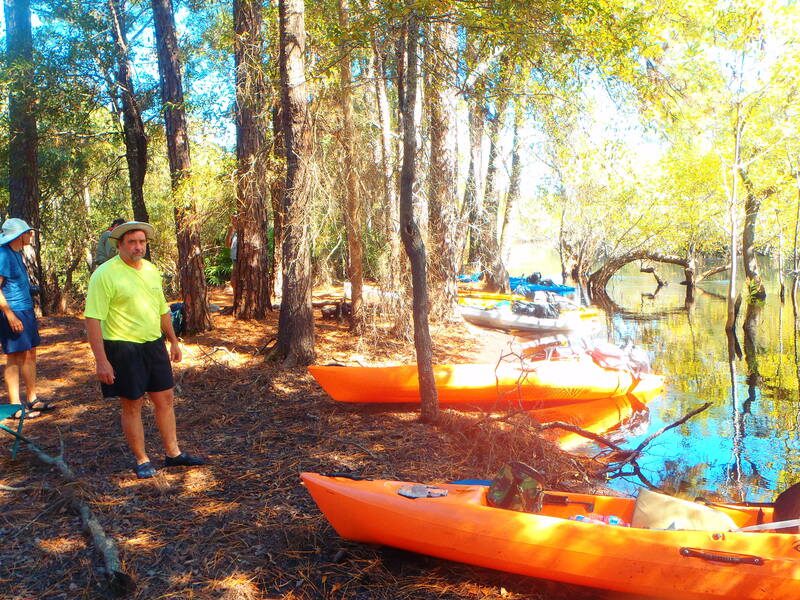 There’s no “Welcome to Florida” sign on the Suwannee River. No message from Gov. Rick Scott saying Florida is “Open for Business.” And that’s probably appropriate. 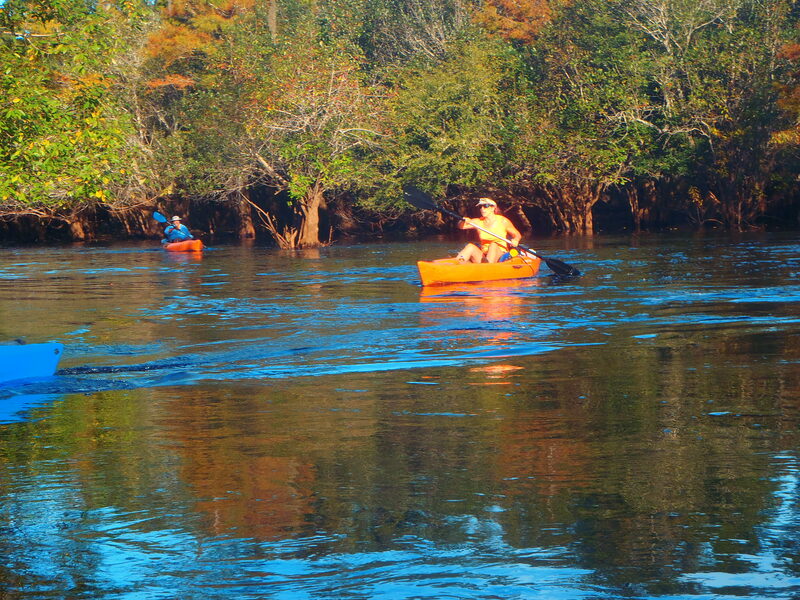 We saw no signs of commerce and few signs of other people in mid-October on a 42-mile kayak trip that started at the river’s source at the edge of the Okefenokee Swamp in south Georgia. 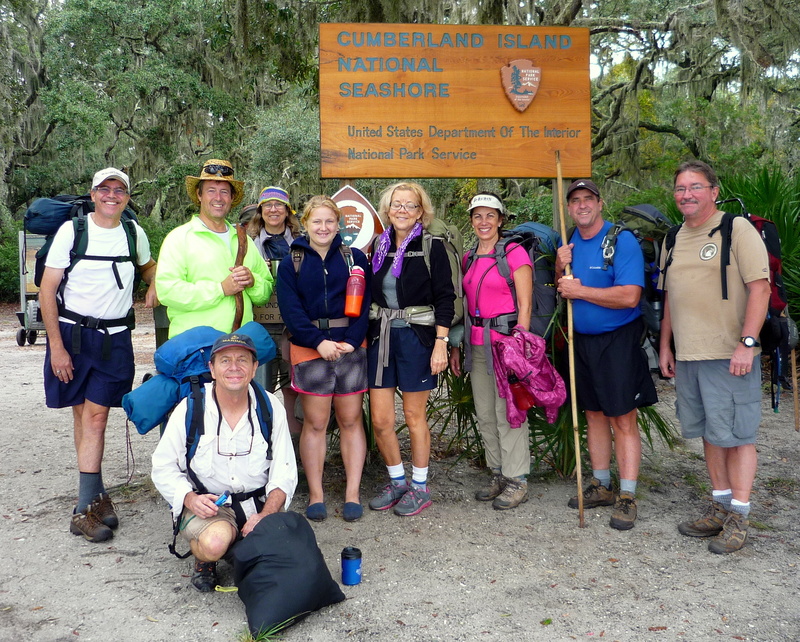 I was one of eight people from Polk County who participated on a 2 1/2-day trip organized by the Ancient Islands Sierra Club. Ages ranged from 16 to mid-60s. The only plentiful signs were ones that said “Posted” or “No Trespassing.” There were few signs to tell us where we were. We knew we had reached Fargo, Ga., at the end of our first day on the river when we passed under the U.S. 441 bridge. We knew we had crossed into Florida the next day only when we saw signs marking a Suwannee River Water Management District erosion control project. If we really needed to know where we were, I could have checked Google Maps on my phone; the two times I checked it, I had a decent signal. But that seemed contrary to the trip’s ethos of enjoying nature and a respite from the daily hustle-bustle. That’s not to say we didn’t hustle down the river. 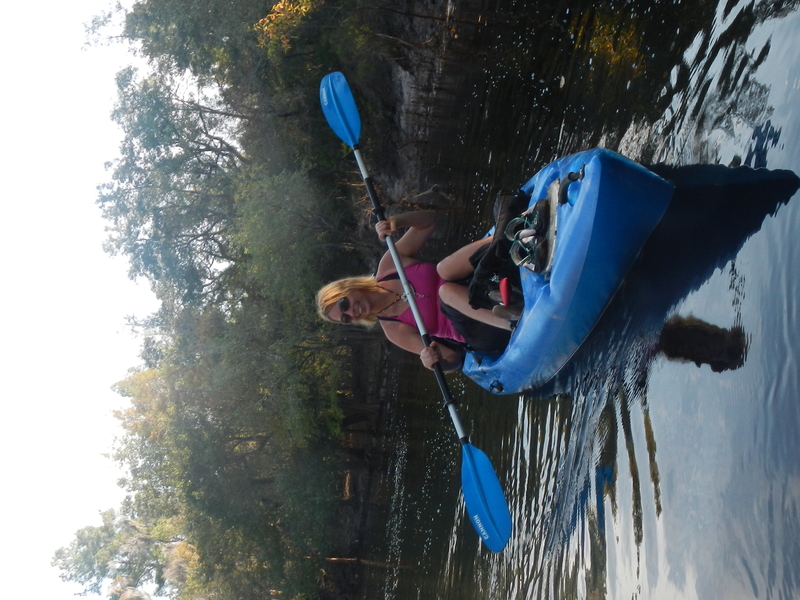 We paddled nearly continuously while on the water; my sore shoulders and upper arms will testify to that. The river was somewhat high due to recent rains, so the current was swifter than normal and we made good time. Skies remained clear during our trip with the only significant cloud cover coming at dawn on the final day. Temperatures ranged from the low 50s to maybe 80. 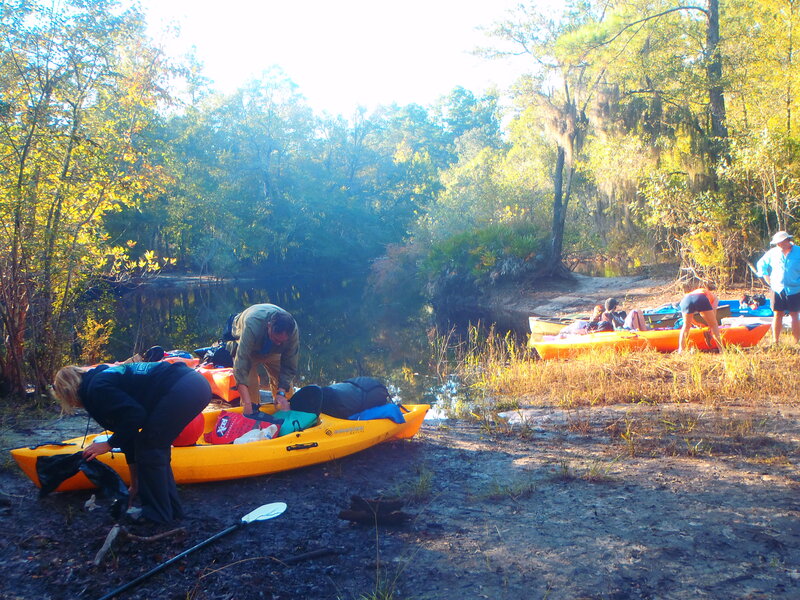 The trip began Saturday morning at Suwannee River Sill, a five-mile earthen dam built in 1960 to hold water in the swamp during times of drought. Although I had been led to believe we’d see plenty of alligators during the first leg of our journey, the only one I spotted was floating on the swamp side of the sill. 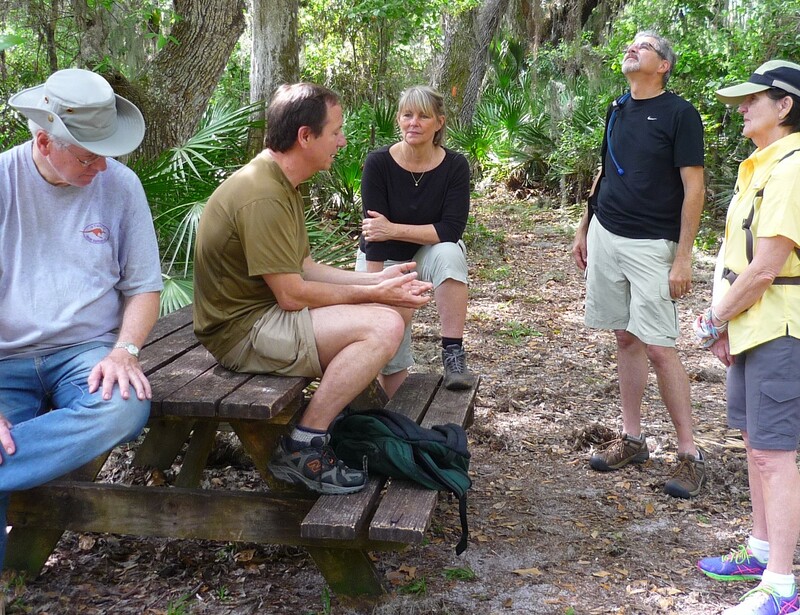 (A few other people in our group reported seeing a gator or two in the upper reaches of the river.) We saw lots of water birds — egrets, ibis, herons — as well as plentiful turkey vultures, and we heard lots of owls. For the first few miles, it was hard to tell we had left the swamp. 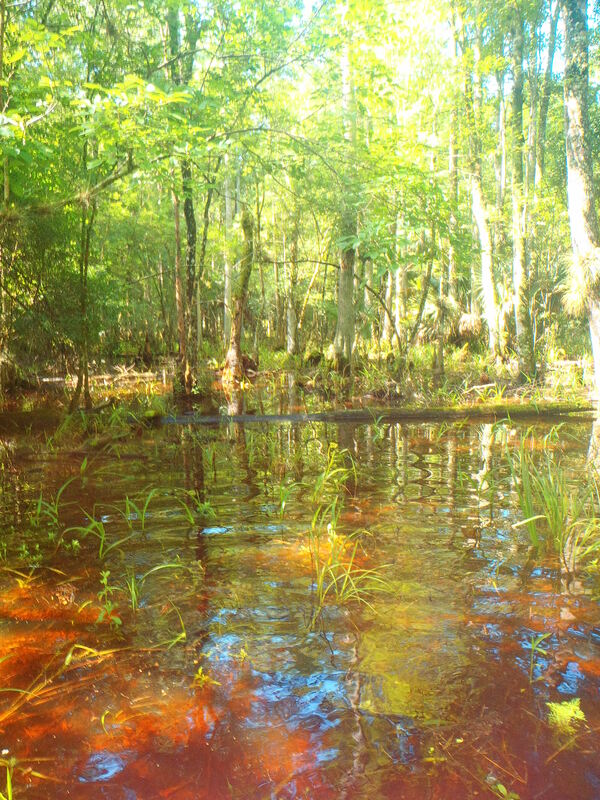 We could see no discernible bank, only a pathway through the cypress and Ogeechee tupelo trees that rise out of the coffee-colored water. Early on, the trees closed in, making it hard to figure out where to paddle. Soon after we picked out the correct route, the trees closed in again, making passage tricky. I became wedged sideways between two trees, the water rushing swiftly toward me. I had to step partly out of the kayak to free myself. 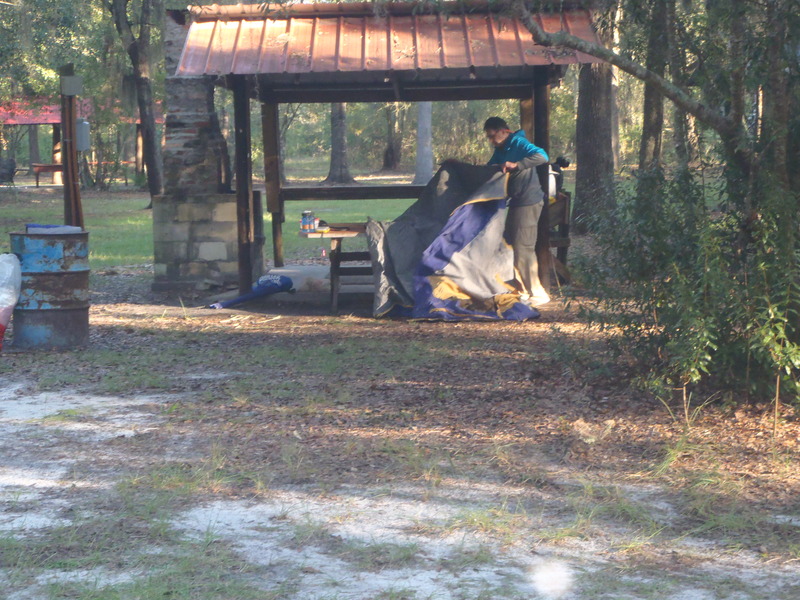 Moments after I got going again, I saw the black trashbag that held my sleeping bag floating behind me. I got it back in the boat with the help of trip organizer Dan Clark of Lakeland, who was nearby. Fortunately, the sleeping bag stayed dry. I can’t say the same for myself. When we stopped for lunch later that day, I didn’t realize how deep the water was where I exited the kayak and I ended up plunging into the water, overturning the kayak and spilling its contents. Most of my stuff was in a drybag, and it held secure. My camera was in a drybox that was about a millimeter too small. Even though the seal seemed tight, there was enough of a gap to let water in. I won’t know if my camera is working until I take it out of its rice bath. Out of our party of eight, three of us dumped into the water — all while boarding or exiting our boats. Nothing was hurt, other than pride and my camera. Thank goodness for quick-drying synthetic fabrics; that’s all I packed for the trip. 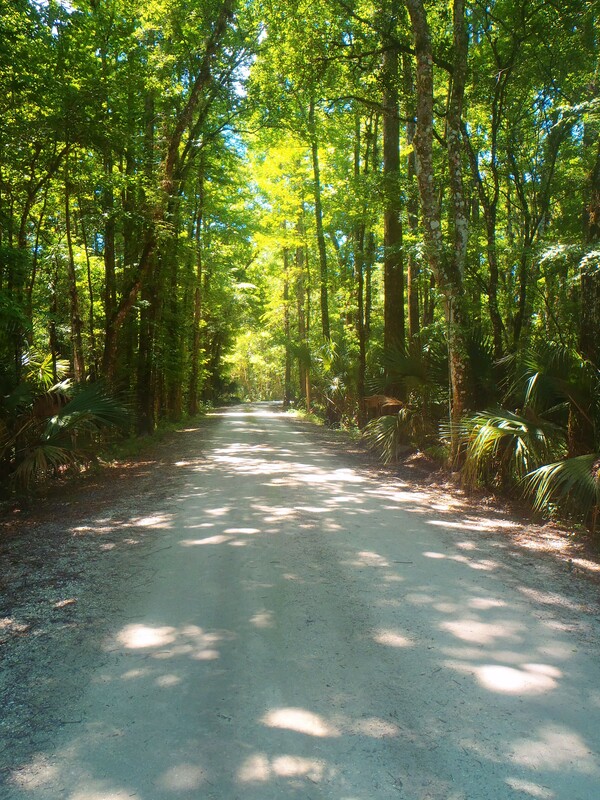 An overgrown dirt road led away from our camping spot. I walked down a ways and saw no signs of cars or dwellings, so we decided to stay. Soon after we set up our tents and built a fire, an older-model car came down the road. Uh-oh. The car stopped about 15 yards from the first tent, but turned around in the tight roadway. We thought the driver was leaving, but the car stopped. The driver got out. He was trimly built, wearing cargo pants, hunting boots and a brown T-shirt with a Fargo, Ga., logo. It was hard to tell his age. His face looked young, but his hair was salt-and-pepper and worn shaggy as if he was starting to sprout dreadlocks. “You’re good,” he kept saying, to reassure us he wasn’t going to bump us out of the space. He had a hunting lease on the property, he explained, and he’d be walking inland and heading back through around sundown. He unpacked his car and passed us with his rifle. True to his word, he emerged from the woods around sundown. We heard few shots. He carried no prize. Later we noticed a hunting stand nearby and found a .243 caliber shell. We didn’t know at the time that this was the first day of firearms deer-hunting season in Georgia. That probably explains all the gunfire we heard from the Okefenokee Swamp soon after we departed that morning. It might also explain the loud barking of dogs that woke us up around 2:30 a.m. and continued for more than half an hour. At the time, I thought it sounded like hunting dogs. Dinner that evening included a tasty broccoli-cheese soup and black beans. The next night was tomato-pea soup, chicken, yellow rice and green beens. Gourmet meals were prepared on a butane-powered camp stove by expedition leader Clark with assistance from Andy Quinn of Lakeland, an expert in the use of a dehydrator to reduce nutritious meals to lightweight flakes that can be rehydrated and heated at a campsite. A five-day cooler with ice preserved food that needed to stay cool. My favorite meal was Sunday’s breakfast of blueberry whole-wheat pancakes. We entered Florida sometime Sunday afternoon. Unexpectedly, the river banks rose higher in Florida, often climbing five to 20 feet from water level. 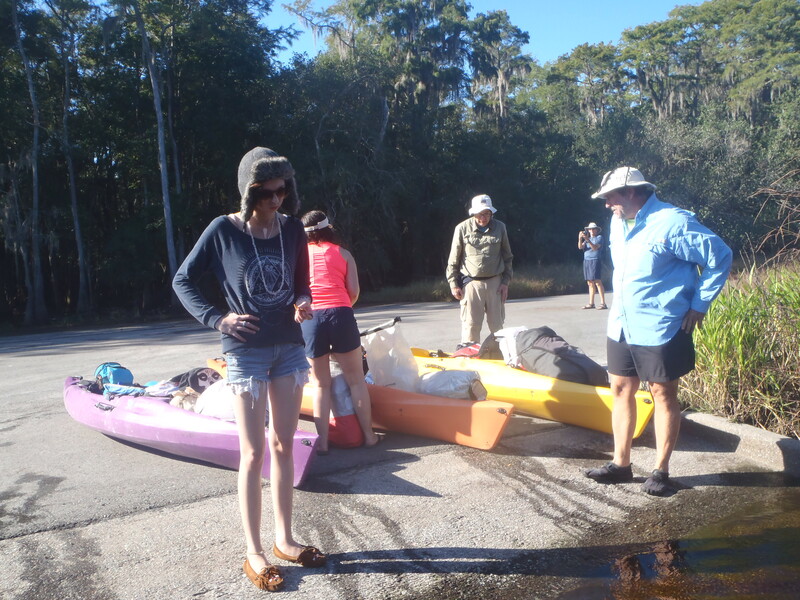 We paddled until nearly 5 p.m., passing the Roline Boat Launch before settling on a sandy bluff to camp. Roline was a significant landmark because it had been our original final destination. We had decided before the start of the trip to extend our journey six miles to the County Road 6 bridge. That terminus was suggested by Al Griffis, the owner of Griffis Fish Camp, where we camped the night before hitting the river. Al had agreed to pick us up at the end of our trip and carry those with cars back to the fish camp; he feared recent rains would make the dirt roads to Roline difficult to maneuver. By passing Roline on Sunday, we ensured we could get to our destination before noon on Monday, enabling us to hit the road and get home before dark. Margo is an incredible cheerleader on any trip! An aside about Al: He wasn’t the kind of person I was expecting to find running a rustic fishing camp in south Georgia. An octogenarian, he had a ready smile, a gentle manner and spoke with precise grammar in a soft, Georgia accent. I found out later he had been principal of the local elementary school and has traveled extensively. 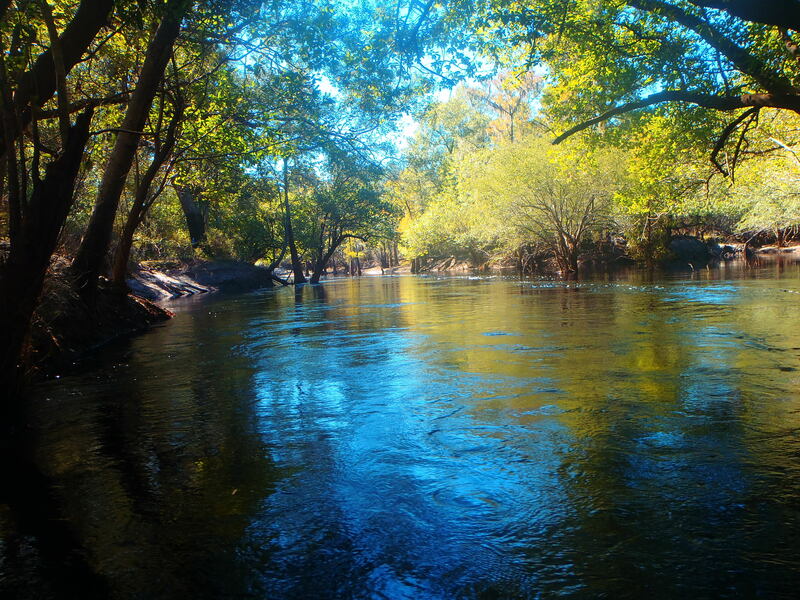 The property on the Suwannee River where the fish camp sits has been in Griffis’ family since it was granted to an ancestor in 1852 by the federal government to honor his military service. Al was waiting us when we arrived at the destination 30 minutes later than we told him we would be there. He didn’t seem to mind the delay. He said he had talked with a fellow who was surveying for a potash company and had listened to — what did he say? It sounded like “hummuncane.” Wondering if the hummuncane might be a local relative of the hummingbird, a member of our group asked for clarification. “I was listening to hummuncane on the radio,” Al said. It was then that I remembered hearing Georgia natives when I was growing up in Atlanta talking about Sen. Hummun Talmadge, or Herman as he was known to Yankees. Al had been listening to Herman Cain on the radio. 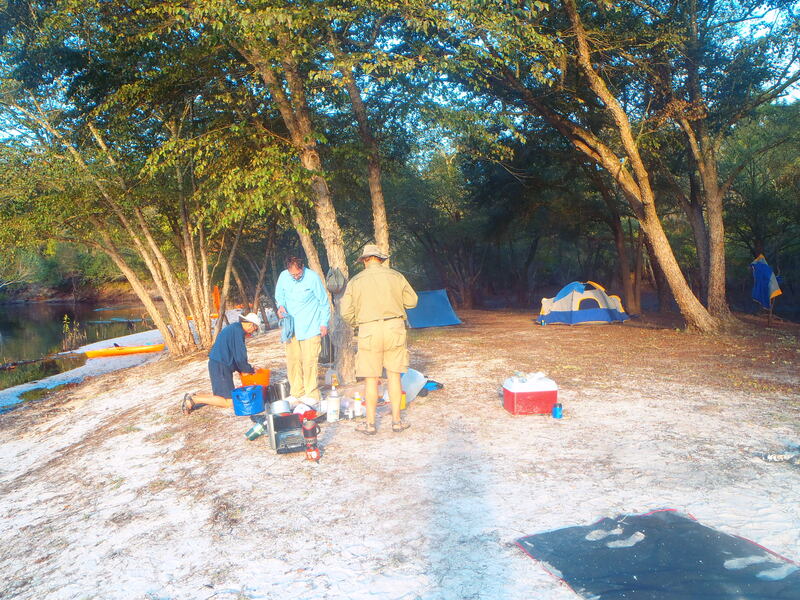 When we left the river Monday, I was eager for the warmth of home (and the hot shower there) but sad to depart from the seven others who had bonded together and worked as a team over the previous three days. 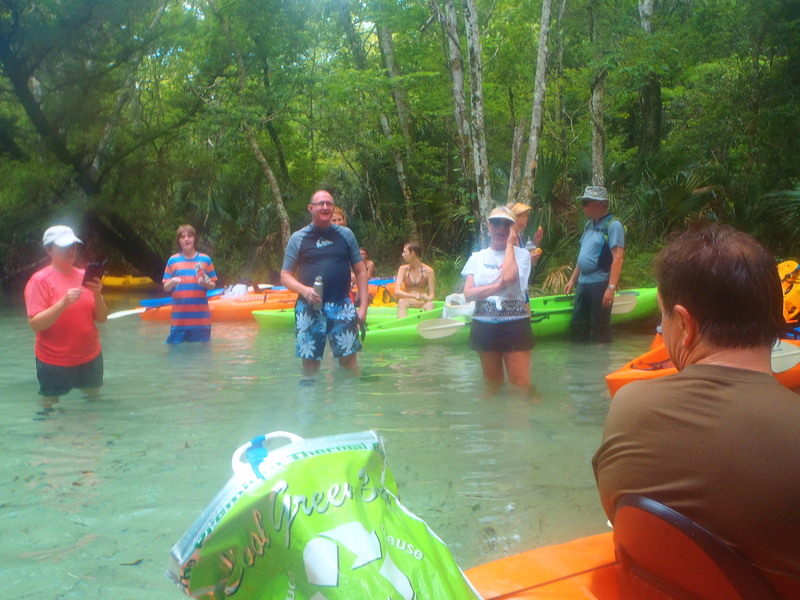 A group of warm hearted folks paddled down Weeki Wachee Springs Run on Monday June 23, 2014. The kids enjoyed plenty of swimming and some jumping out of the trees that make the run famous . 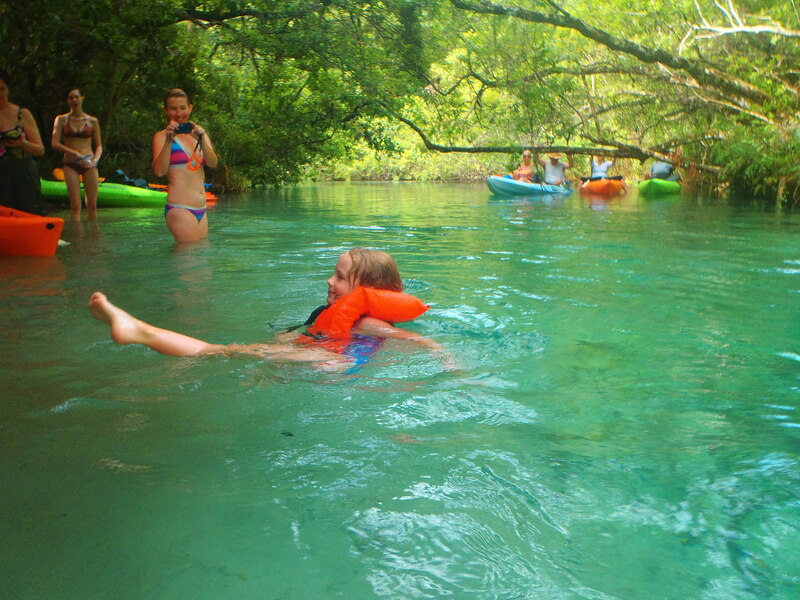 Weeki Wachee, a first magnitude spring, is noted for it’s consistently clear water throughout the Run. Folks arrived at the launch at Paddling Adventures as early as 730 am, and we unloaded boats and did our won Sierra Shuttle. We drove all calls and my car with the boat trailer to Rogers Park. The drivers came back in one car to meet the rest of the participants. We did the unloading and shuttle in record time. 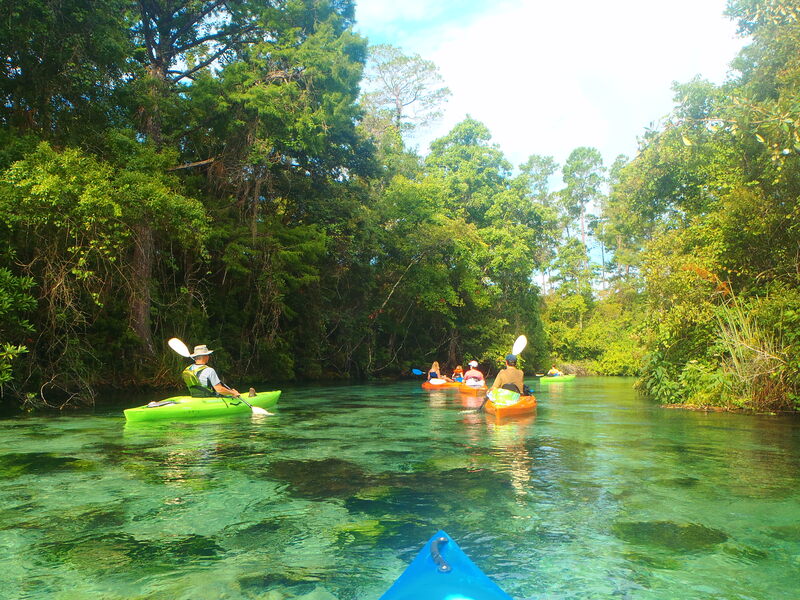 It is facilitative to get to the launch early because Weeki Wachee can be crowded even on a weekday. I dare not try to lead an outing on the weekend for motor boat traffic also comes up the Run. 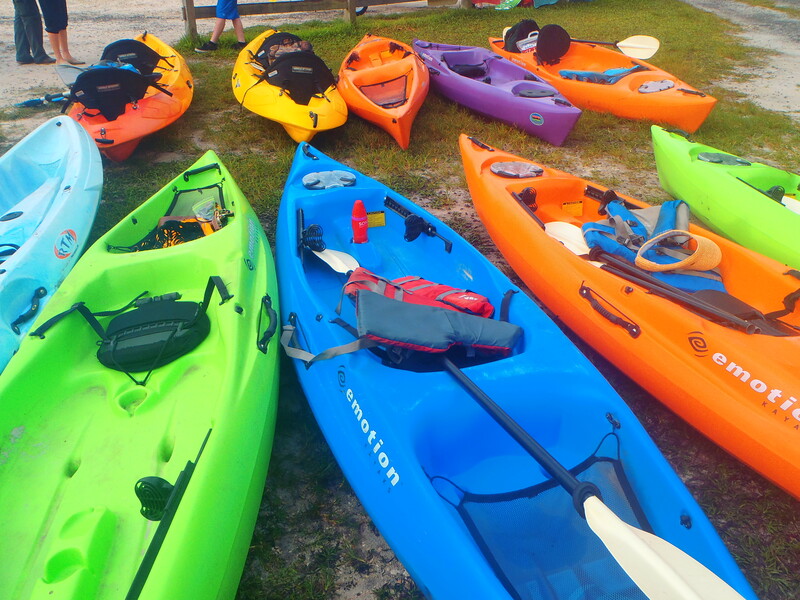 Using City of Winter Haven Kayaks and doing our won shuttle saves the participants a significant amount of money. So we had a nice leisurely paddle down the Run. Andy taught the group paddling stroke, this Run is a good place for beginners to practice strokes. It took a while to take a break it seemed as though some of the sandbars may have washed away due to erosion.. Th children on the trip, Victoria, Lenora, David, and Jordon seemed to integrate well with the adults on the trip. SOme folks witnessed a babymantee. 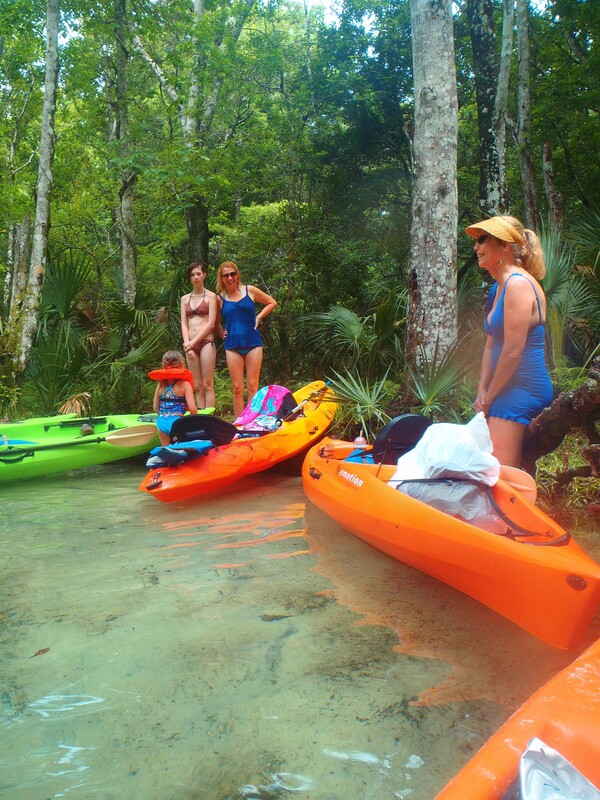 We have seen manatees the last three Ancient Island kayaks down Weeki Wachee. 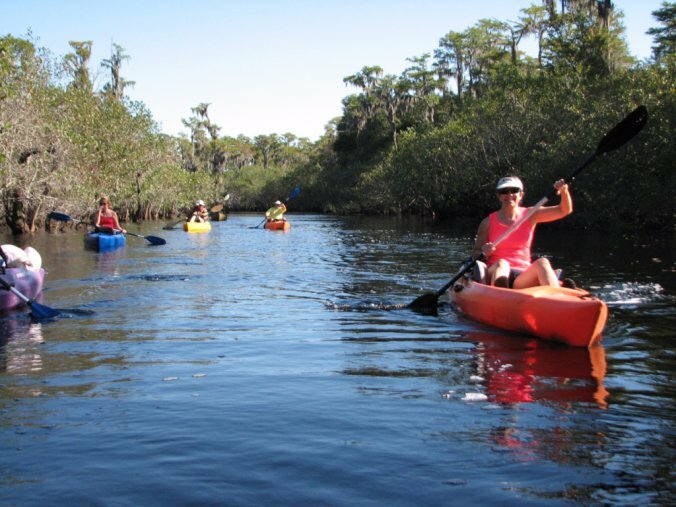 These spring trips in the summer have been designed to introduce children and families to the beauty of Florida waters. We attempt to go to places where the children can enjoy swimming. 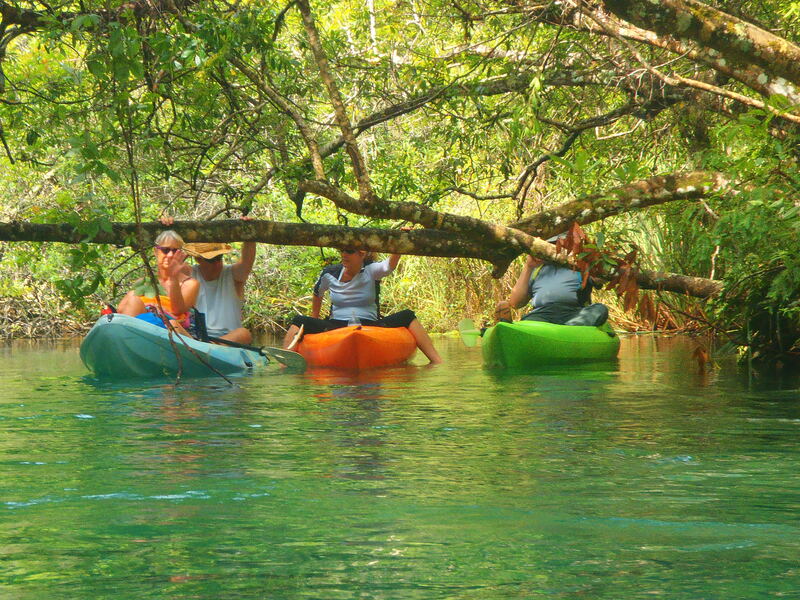 Look for us on Wekiva Springs on July 21, 2014. Monday is a scheduled day off I use to explore places. When most people are going through the hustle bustle of getting to work or the demands of whiny kids, I like to have the woods and streams to myself. 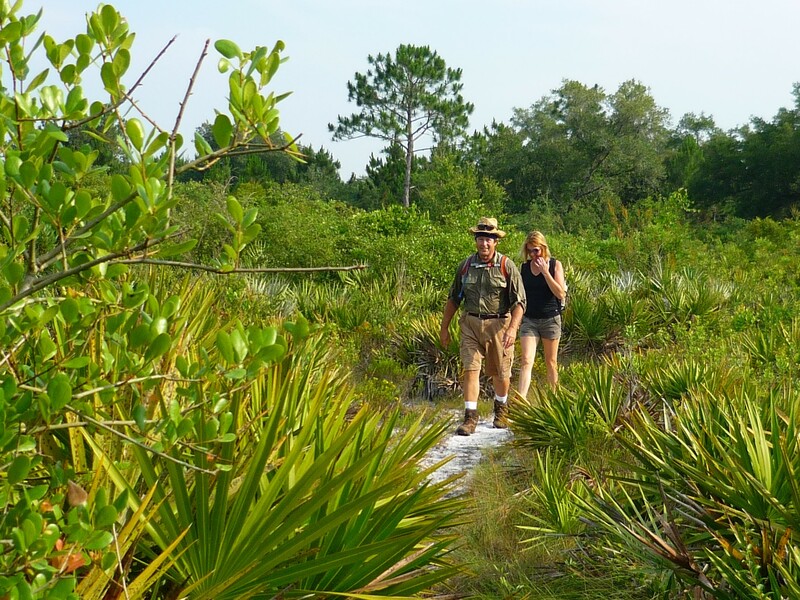 Lately I have been practicing land navigation through the Green Swamp, using map and compass skills in anticipation of leading a National Sierra Club Trip titled Wind River Intro to Cross Country. 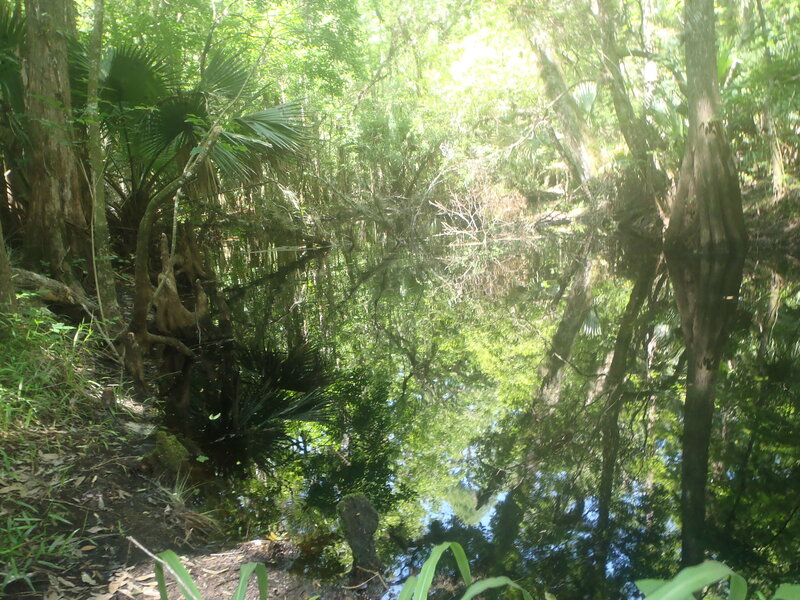 I have found the Swamp a mysterious place, one where I could get swallowed up and digested. 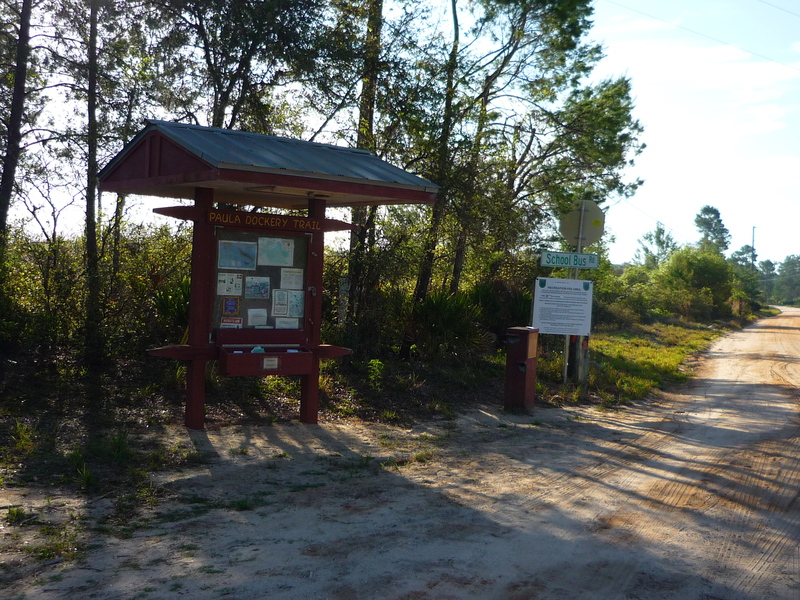 I start at the Rock Ridge Road Trail Head in the East Tract of the Green Swamp and take bearings to various landmarks in the swamp. 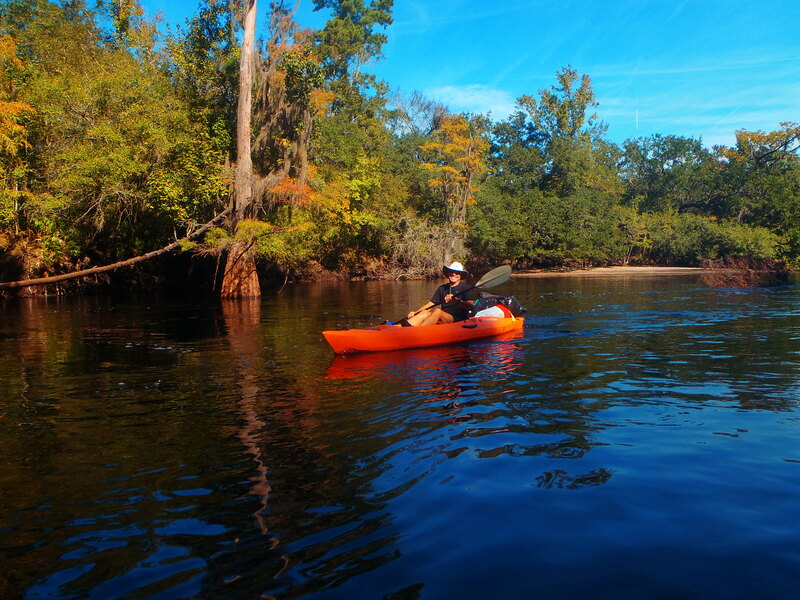 I like to work my way to the Withlacoochee River Basin. 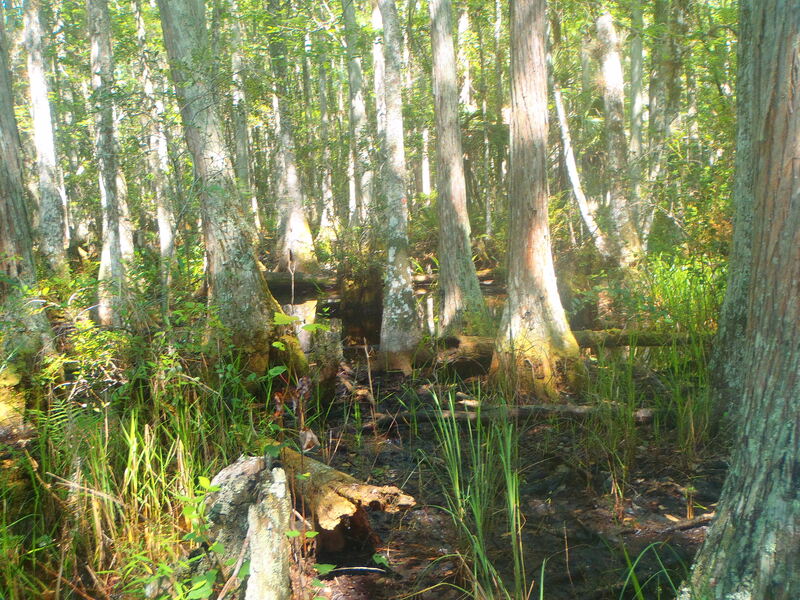 Even though I grew up in Louisiana., I did not spend much time in swamps. 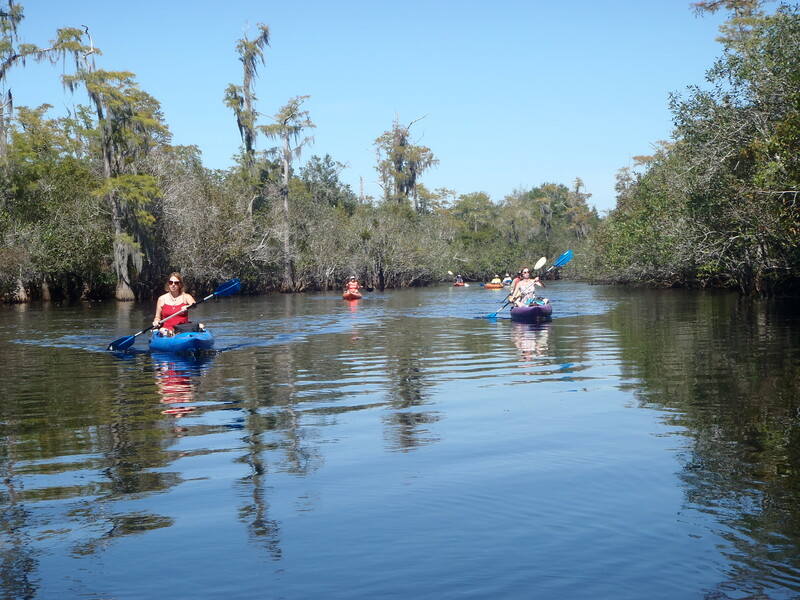 We were busy off shore fishing, camping and water skiing rivers in east Louisiana with exotic names such as Tangipihoa and Tchefuncte. 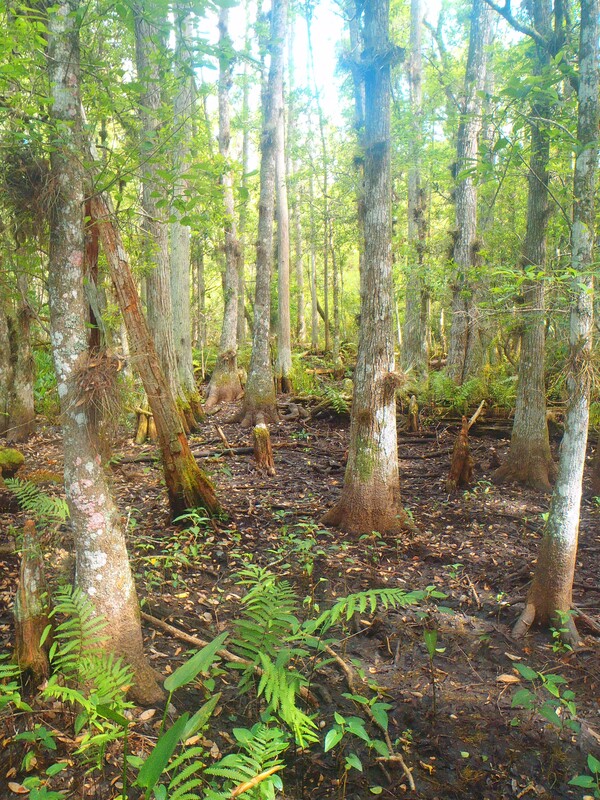 In fact most Louisianans will swear the best water skiing river is the Tchefuncte, with its slow moving black water and stately cypress tress. But what the rivers and fishing did for me was to grow comfortable in the wild. But that being said I was unprepared for the swamps. My parents introduced me to the magic of the Rockies, a surreal and spiritual experience. There was something mysterious and god like about the sharp rock spires and terraces of snow along the faces. The air out west is a warm comfy blanket, and the openness of the mountains and prairies felt like heavenly infinity. So for years I have been hooked on mountains. I hear from others too, their special places are mountains in North Carolina, Canada, Montana and Alaska.I have an infinity for those places that harbor animals that can take you out with a swat of their paw and contours where a misstep will plummet you to demise. God in Nature is a visceral experience, archetypal, making me feel small, humbled. Later I would dub myself a mountain snob. As if Florida was just not good enough. 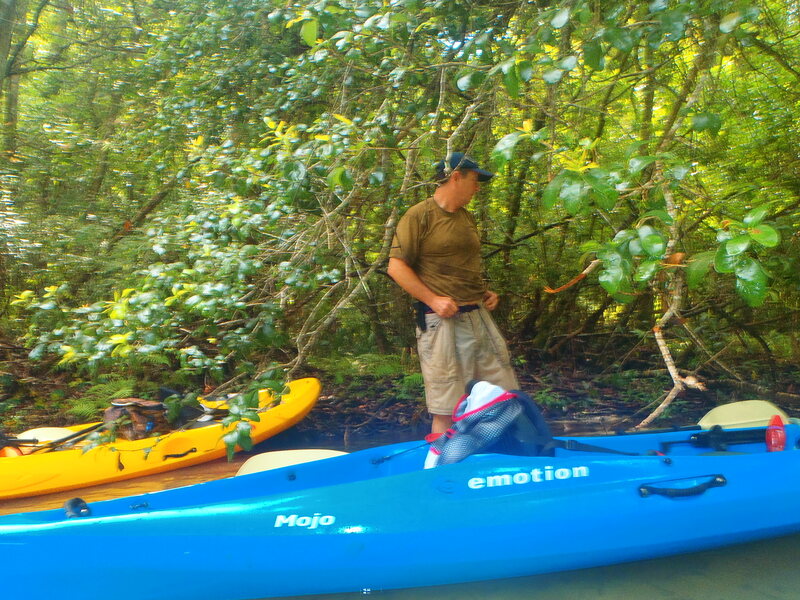 Family responsibility forced me to explore the local rivers of Florida. 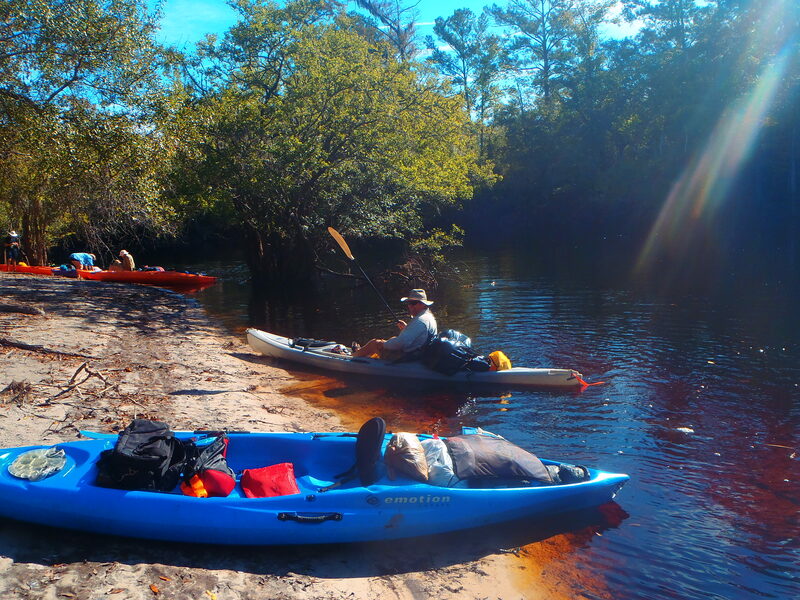 I have always enjoyed paddling on rivers and finding remote spots along Rivers to camp. There is something to making home next to running water that is calming and adventurous. And the cool refreshing, breathtaking springs! 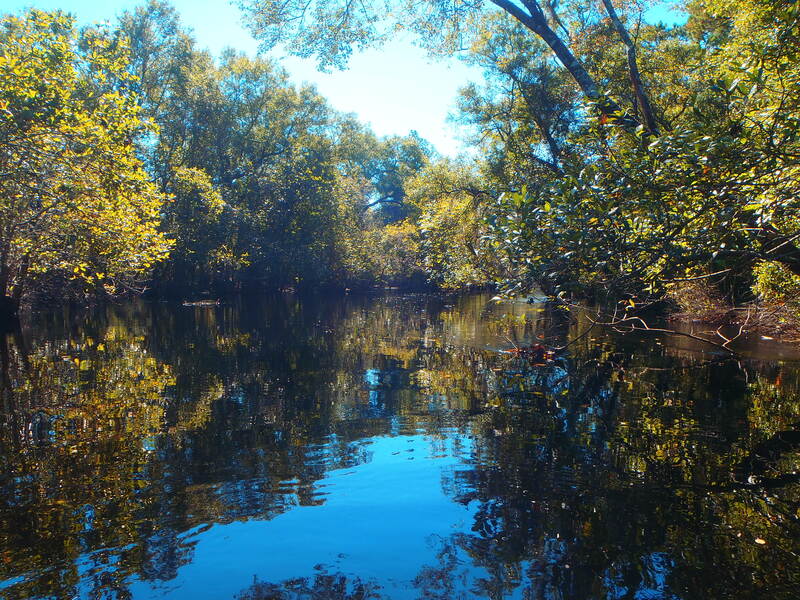 Miles and miles of cool clear water, where can look twenty feet below and witness turtles, fish and even frolicking otters and streamlined gators. And as I began to explore the waters of Florida solo, I began to challenge my fears about Alligators. See although I grew up in alligator land I really did not see many of them. It was a little spooky to see so many of them in Florida, and most outdoor folks acknowledge the exhilaration of witnessing wild animals is ten fold solo in the real bush. But my early outdoor training, and my mega experience out west taught me that they just wanted their own space. 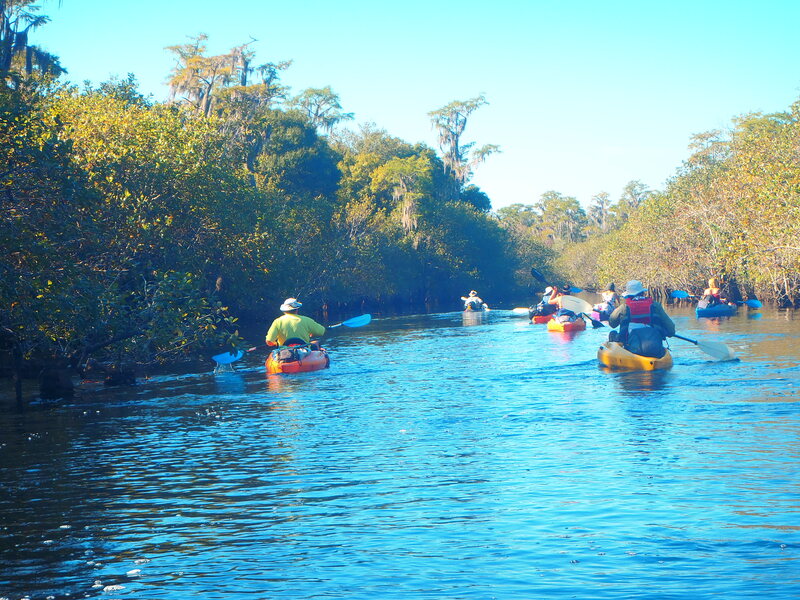 I have had an number of interesting calls with gators such as the time I was snoozing and fishing on a lazy Sunday afternoon and I ran my canoe into brush and nearly on top of one in the Hillsborough. Or the time I headed right into one on the bank of Juniper Springs. 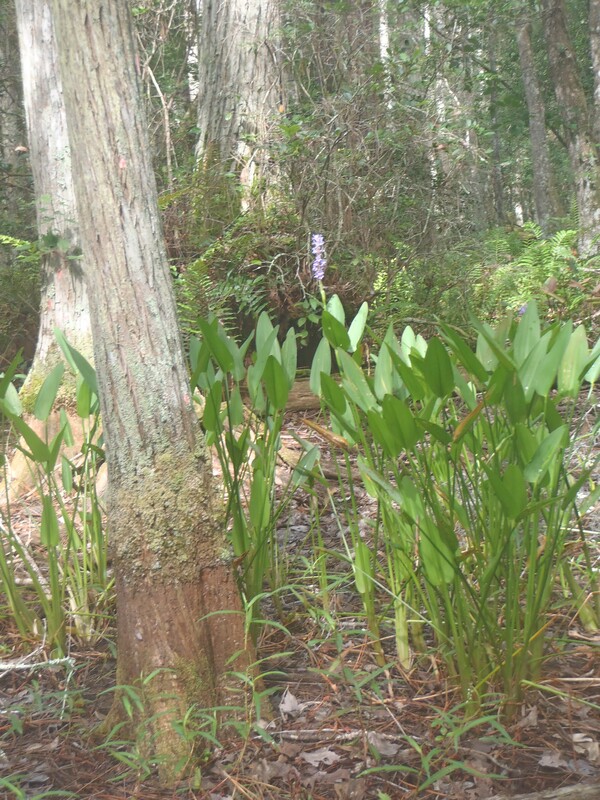 Or using nature observation techniques to see them moving through the branches by the swaying of the tops of aquatic plants. 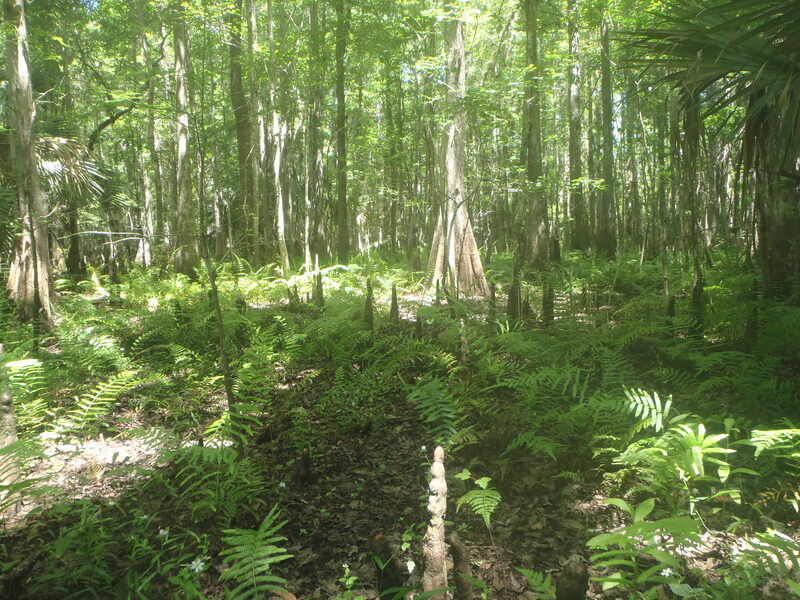 Despite my growing confidence around these prehistoric remnants of a reptile, I was rather haunted by Ranger story of steeping on one in the muck Myakka State Park. She was thrown back on the bank for a considerable distance. They seem to like to burrow in mud holes in the cooler months. My concern was stepping on one in the swamp. Also of concern were rattlesnakes. However, the intimidation factor is quite low for me, having encountered 10-15 of them along the PCT mainly in California. In fact I am always quite excited to encounter one. , amazing at their brownness and triangular features that helps them to blend in with the dryness of rocks, dead wood and dirt of southern California. I even have story of being hounded by the infamous Mojave Green Rattler, while exiting the trail to get a tooth abscess attended to. I realized that the Eastern Diamond Back Rattlesnake love the palmetto prairie habitat of Florida, so I am looking forward to introducing myself to one of them. So I started in April, knocking the rust off my skill by taking short distances, easy loops through uplands. 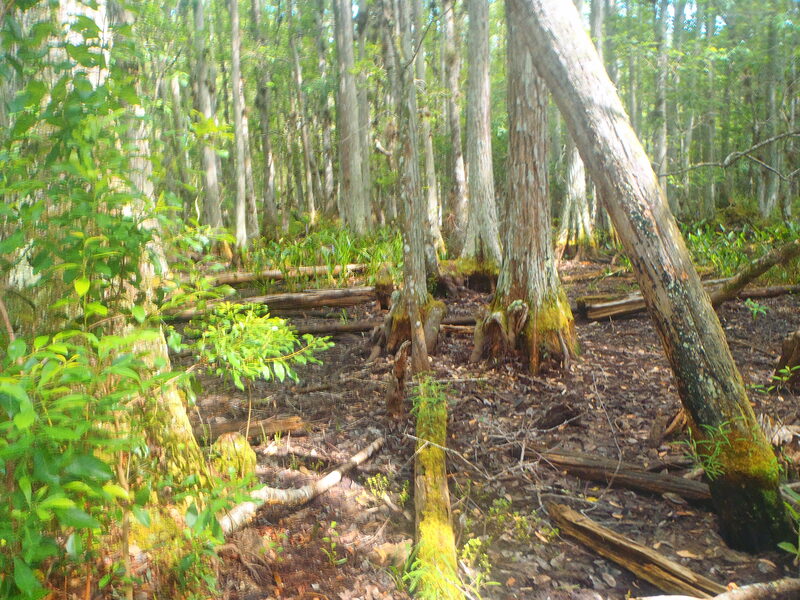 When I looked at my USGS map and all those swamp designations, the Green Swamp looked so daunting, formidable. My thinking was that uplands would be much easier to traverse than th swampy portions of the conservation area. What I did not understand was that the longleaf uplands with palmettos can be tangled brush over my head, that I had to fight my way through. I had to re think my aversion to hiking sticks for I wanted my brother the Rattler to know I was in his vicinity. Please don’t judge the following. On the Continental Divide Trail, it is just a matter of course that we walk through private property, crossing through barbed wired fences. Out west ranchers are a different breed and they tolerate those hikers. My second hike in the swamp after some difficult uplands, I was heading north with a gorgeous meadow on my right flank. After some time I noted a farmer on a tractor on the distance. Then a “POP!” a shotgun fired. So that was either my warning or someone was target practicing. I went backwards quickly, crossed the fence and ate my banana. Respiration and pulse were normal, but I decided that I needed to respect property lines in Florida. 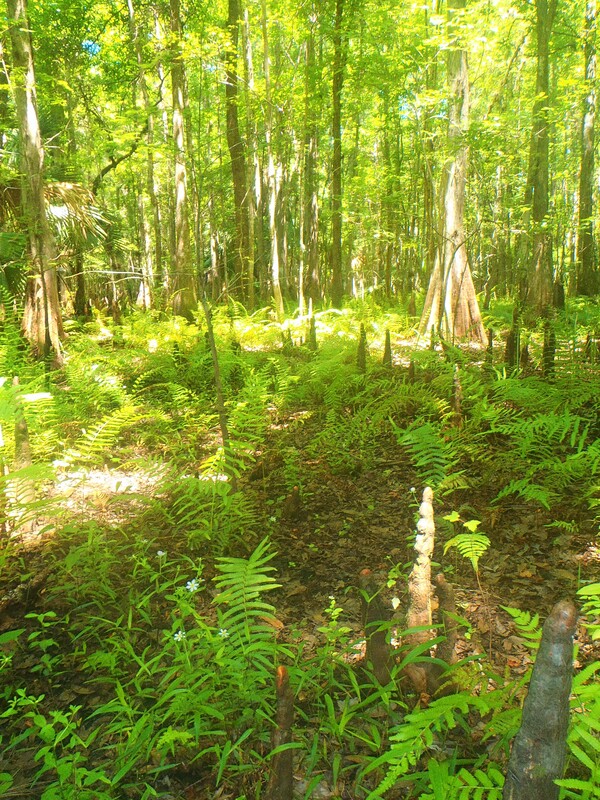 So I discovered that it is more fun and easier to hike in the swamp itself. The ground is cool and there are lots less obstructions. 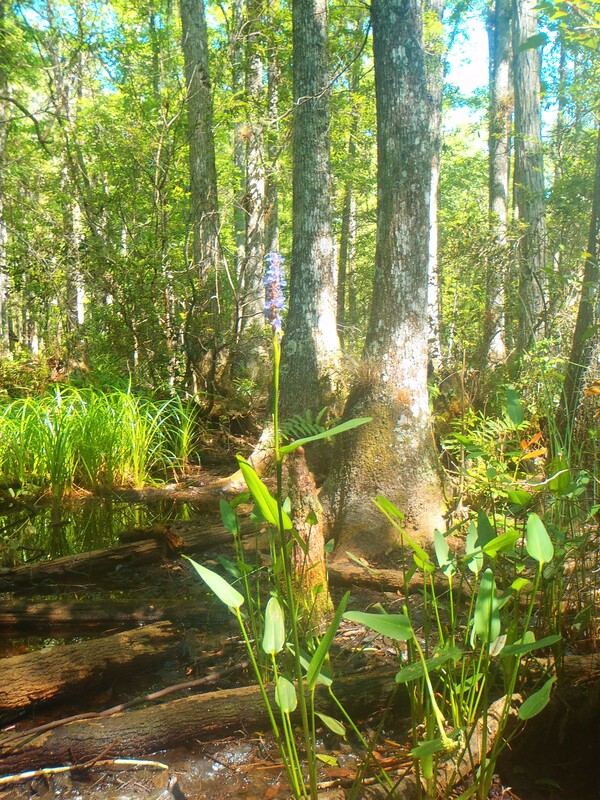 There are fascinating aquatic plants and cypress knees all about. The shades and hues of green are nothing short of miraculous. To be fair, I began at the end of dry season, and as I move through the rainy season the swamp is becoming more inundated and I walk to my ankles and knees in water. I am sure I will have a days in my hips to water. Yet the water is cool and the canopy cools the summer day. Several summers ago I noticed that when I returned from a river, the summer heat just didn’t feel quite as daunting. 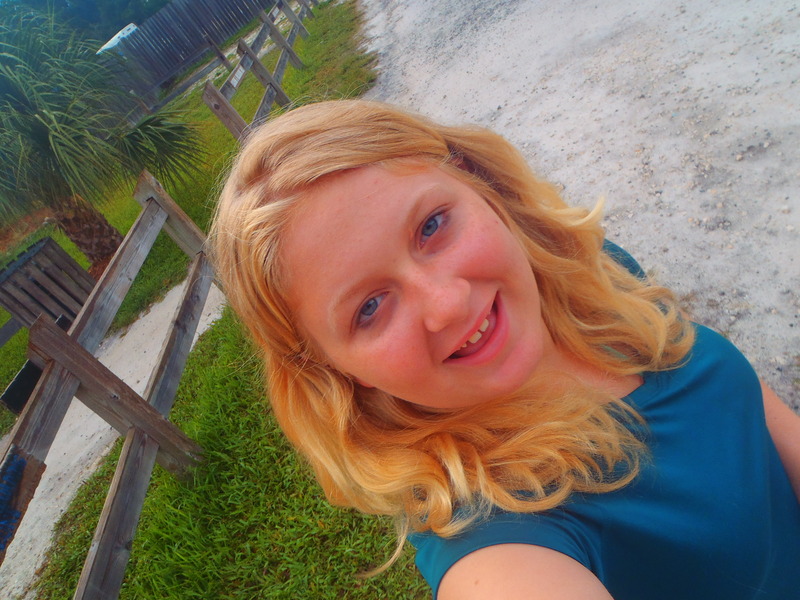 The swamp is refreshing, a cool breeze in the summer beat down. And my hiking stick is a reassurance for not stepping on a submerged gator. 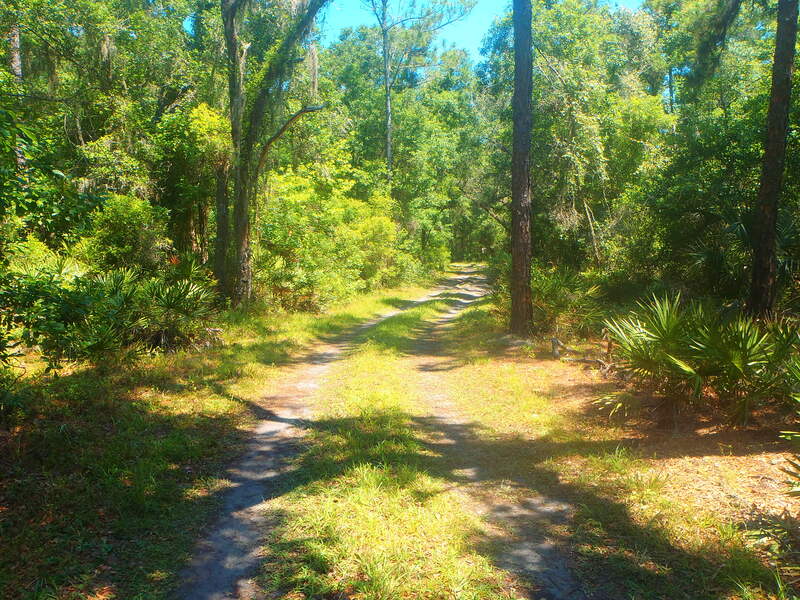 I have walked along the Withlacoochee basin plenty before I started going cross country. 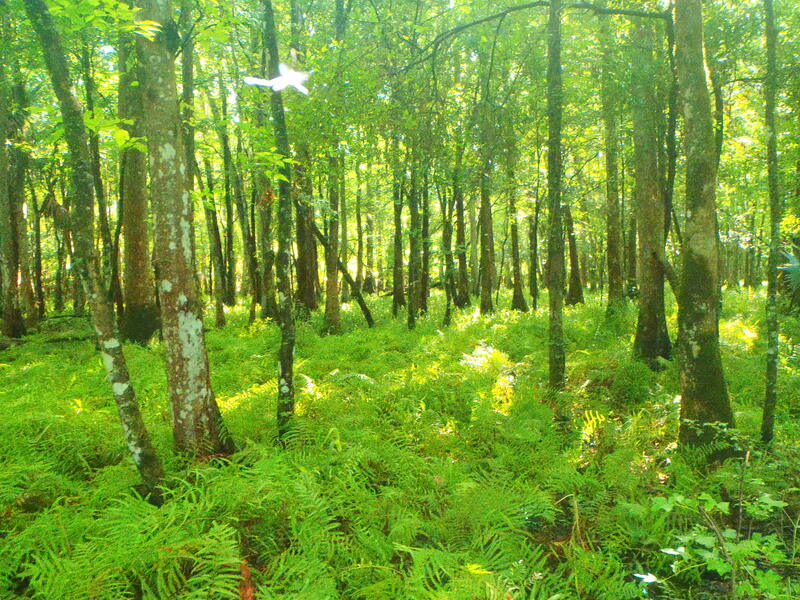 The basi is so impressive with it’s open areas, plants with various hues of green and may cypress. Yet the first time I ran into the Withlacohee River crass country was exhilarating for I flushed two large gators into it’s waters. My predicament was that my route required crossing the river, and I was not going to cross there. I went upstream and found a spot where it was only a foot deep and made the crossing. The last time I hiked, I made a lager loop, attempting to find a cross country route to a back country lake. Running out of time, I did not make the lake and took an bearing back to the road. Sometimes getting back is much worse that getting there. If my bearing was too far north, it would mean a lot of extra walking, and too far south I would never hit the road. After pushing through some uplands and getting a little frustrated with the incessant spider webs on trees, I found myself in a brush less area hammock of sorts. I then heard lots of faint squeaking noises. Then I recognized it…..a staccato grunt, and I recognized I was being warned by a wild sow that I was much too close to her piglets. The ground around me was torn up the sign of wild pits tearing up the ground in search of tubers and roots. Although the wild pig would represent minimal threat to me, I take caution when mamma says back away. So I moved briskly west, then southwest compensating for my movement away from the pig family. I ended up right where I started on the road, noting that my rust was beginning to shake off. What a great morning for us to hike the FNST. Margo, Dan, Gail and I went southbound from River Ranch and the Kicco trail head. I am wowed by this huge swath of conservation lands that make of the Kissimmee River basin. We hiked for about three plus miles south,then turned around and came back. 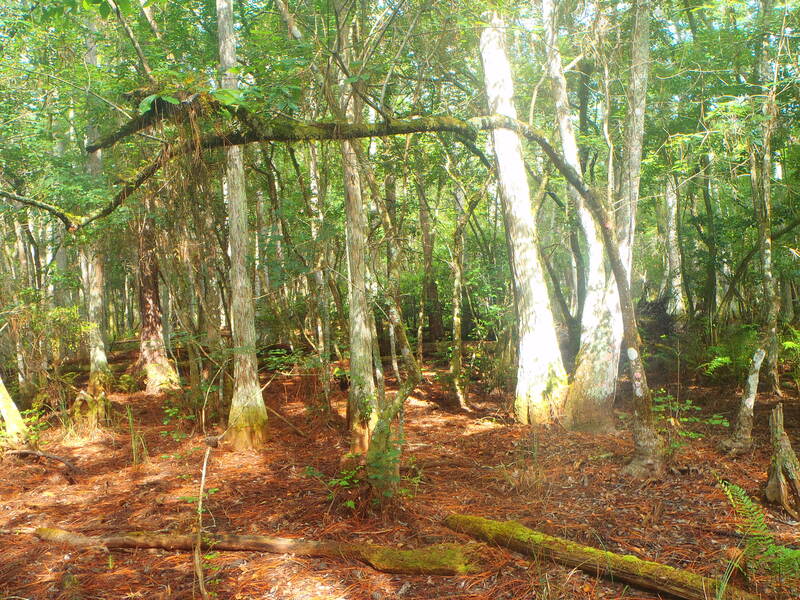 Highlights were gorgeous hammocks inundated with palmetto understory and towards the end a huge wetland that was relatively dry. We noticed that we were hiking through a huge field of bulrush and blooming arrowhead. The scouting served us well for we learned that parking would be better at the trail head at the end of River Ranch Blvd. There is no water available for the three miles we walked and when we do this section as a multi day backpack, we will have to camp further because of the water issue. 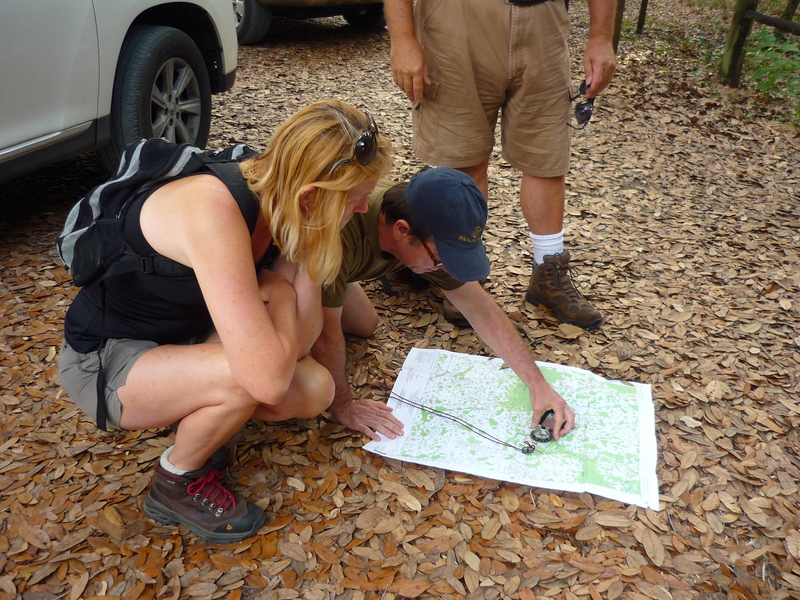 I was able to teach some basic land navigation skills. The skills are threefold; map reading, compass reading and GPS use. We focused the map and compass use, and using the sun as as back up to compass. The trip did me well for I will be teaching and practicing navigation skills in Wyoming. On the way back I scared deer from its snoozing place, and it made quite a racket escaping through the tangled brush. I also witnessed swallow tail kite, probably not a rare occurrence in the Kissmmee River Valley. We will look forward to Scouting the FNST in the Avon Park Bombing Range next.